Cheshire West and Chester Council has appointed a new Chief Executive following a meeting of Full Council last night (Thursday 17 May). Andrew Lewis has been appointed to the role following a strong recruitment process and will begin his role at the end of summer, replacing Gerald Meehan, who is retiring. Andrew is currently the Managing Director of one of the first combined authorities in the country, covering five local authorities in Tees Valley and working to an Elected Mayor and Cabinet. In his early career, he worked as a Senior Economic Advisor at the Treasury, working on employment, tax and international policy. He left the Treasury in 2004 to join the Government Office North East as Deputy Regional Director and he worked on economic policy across the North of England as Director of the Northern Way for three years until 2010. He then joined Newcastle City Council as Assistant Chief Executive and was responsible for a range of services, including economic development, policy, communications and performance, regulatory and community services and democratic services and elections. Andrew took up his current role in 2016 and has worked on a number of national initiatives, including devolution deals, and was part of the Local Government Association panel which reviewed the Council last year. Until he takes up the role, Charlie Seward and Delyth Curtis, the Council’s two Deputy Chief Executives, and Chief Operating Officer, Mark Wynn, will continue to manage the responsibilities of the Chief Executive between them with with Charlie Seward taking the lead on the statutory functions of the Chief Executive including Head of Paid Service on an interim basis. 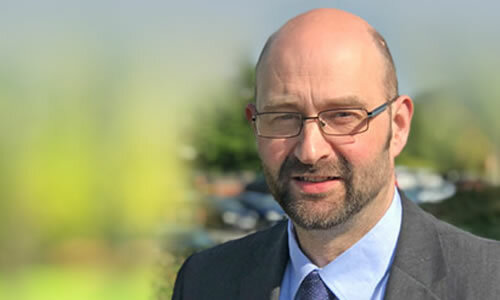 Councillor Samantha Dixon, Leader of Cheshire West and Chester Council said: “We are pleased to welcome Andrew to the Council as our new Chief Executive. “Andrew has a wealth of experience in Central and Local Government that will serve the Council and our residents well.